We found a way to reduce the space required for this Twilight spa without cutting back on any of its premium features. Two pumps power 26 jets, including the popular Master Blaster® Foot Therapy. We’ve also found room for a cascading waterfall and beautiful lighting. Make the most of the room you have. 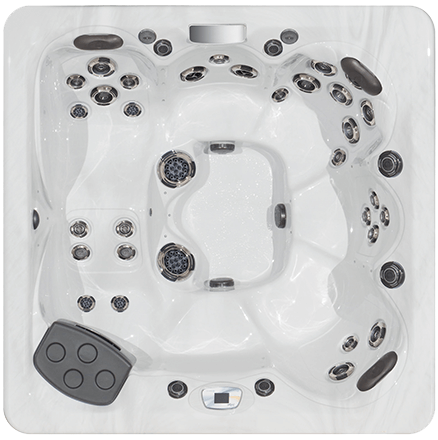 78" x 78" x 34"
Two pumps and 30 jets provide plenty of hydrotherapy in a smaller-sized hot tub. We’ve taken advantage of every inch, making room for a full lounger plus a Stress Relief Neck and Shoulder Seat™. 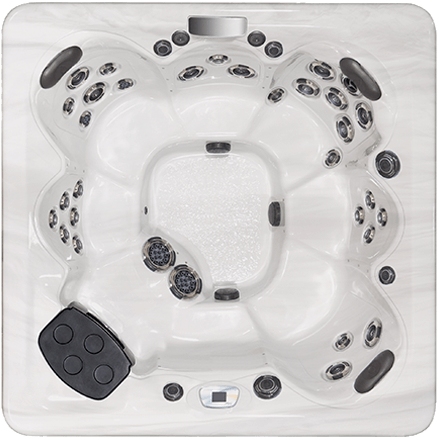 The TS 6.2 hot tub is a great choice for smaller spaces. This petite spa is packed full of features including a Master Blaster® Foot Therapy, cascading waterfall and colorful lights. It’s not only designed to fit small spaces, but is also an ideal choice for smaller families. 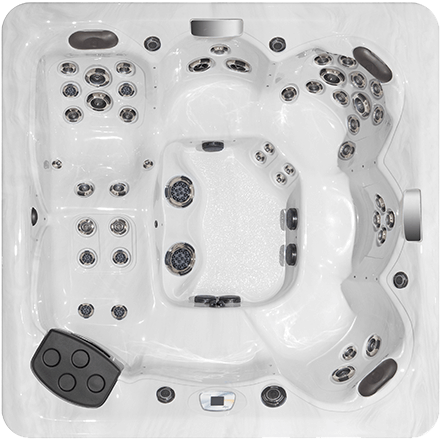 70" x 84" x 34"
Everything you need in a hot tub, this model provides plenty of seating with a lounger and delightful features such as a waterfall, Master Force™ Bio-Magnetic Therapy System and our exclusive Orion Light System. 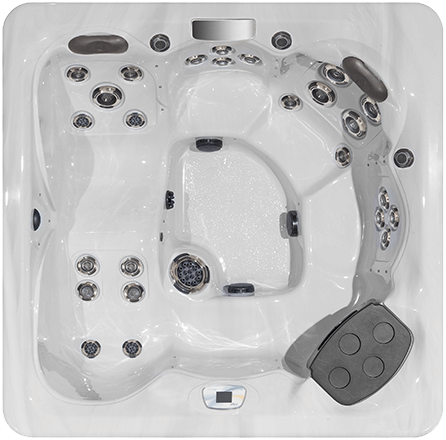 Everything you need in a hot tub, this model has room for up to seven adults, featuring three seats with comfortable head rests. 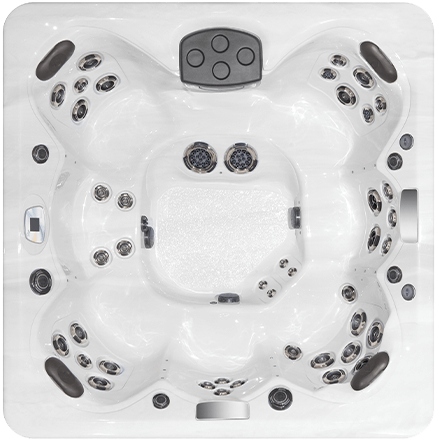 It also offers delightful features such as a waterfall, Master Force™ Bio-Magnetic Therapy System and our exclusive Orion Light System. 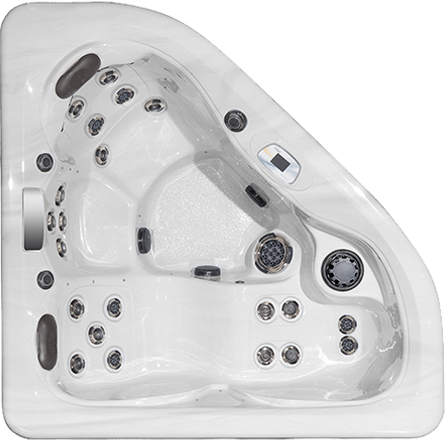 We’re not surprised that Consumers Digest has recognized this Twilight hot tub model as a “Best Buy” multiple times. It has outstanding seating versatility, including a lounger. 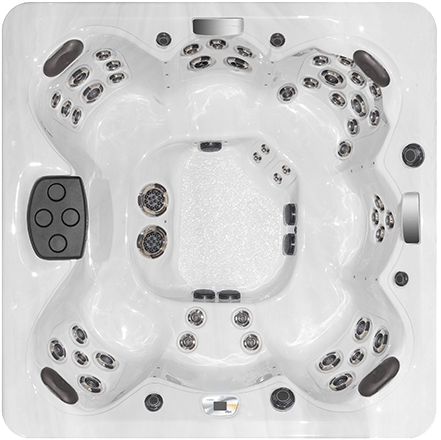 An amazing 44 jets ensures stress relief to every inch of your body. 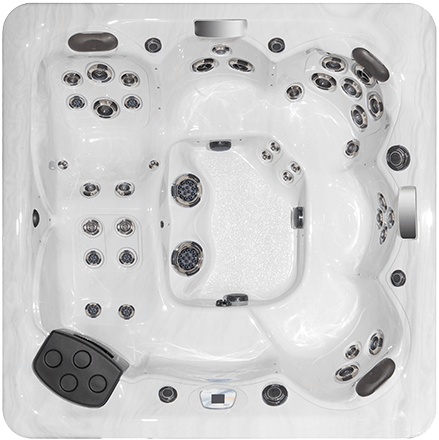 Plus, like all Master Spas hot tubs, the TS 8.2 offers low maintenance and energy efficiency, so owning and caring for it is easy. Another spacious model, the TS 8.3 boasts an extra pump, compared to the 8.2 and 8.25. Premium seating choices include a full lounger, a StressRelief Neck and Shoulder Seat™ and three cushioned head rests, ensuring that everyone is comfortable. Options include upgraded lights and sound system, plus a Wi-Fi module with a convenient app. 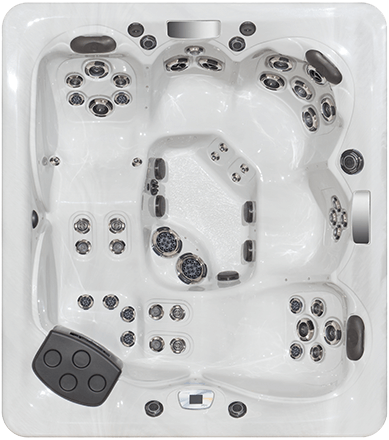 It’s easy to get comfortable in this large model that features dual lounge seating. 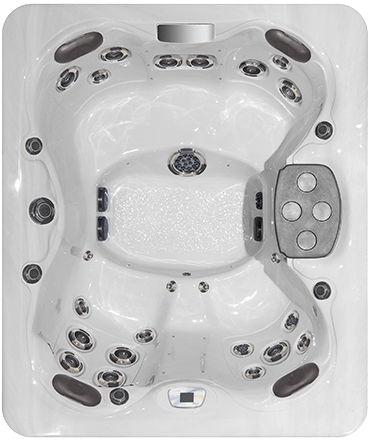 Take full advantage of the ergonomically-designed seating that delivers hydrotherapy relief to every part of your body, including targeted jets for your feet, neck and shoulders. With a total seating capacity of five adults, this large spa has something for everyone. 94" x 84" x 38"